SCANDINAVIAN MICRO SYSTEMS Inc is an Authorized Dealer and Service Depot for Raytheon Anschütz of Kiel Germany. Our engineers are experienced and certified on Raytheon Anschütz equipment. We supply, Install and Support Autopilots & Steering Systems, Gyrocompasses, Repeaters , Radar & ECDIS. Raytheon Anschutz ECDIS is also Certified with our own Optical Bearing Device. 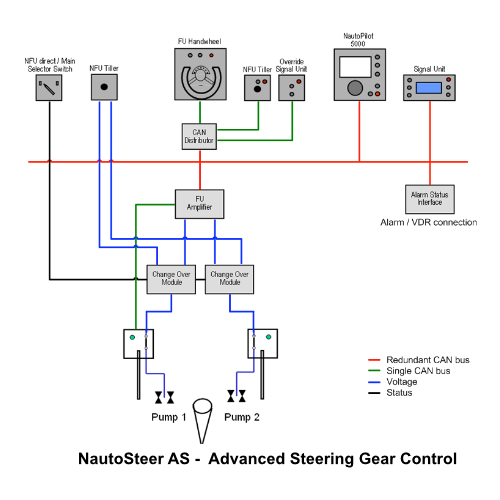 The new NautoSteer AS Advanced Steering Control System is designed accordingly to fail to safe principles. No single failure in the system causes any unwanted rudder activity. All components of the system are connected via reliable CAN-bus technology. Even a redundant CAN-bus is used for all safety relevant components. 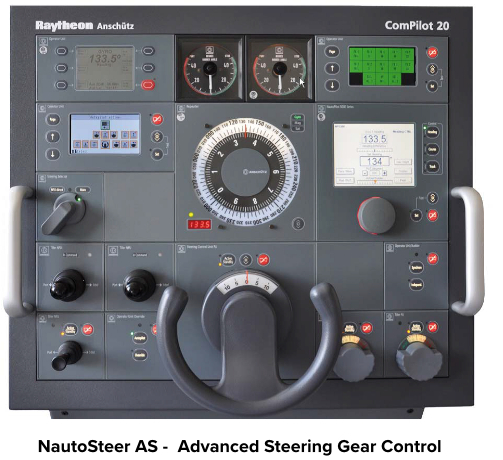 Important safety features, such as wire break monitoring, steering failure monitoring and data integrity monitoring are standard in the new NautoSteer AS. 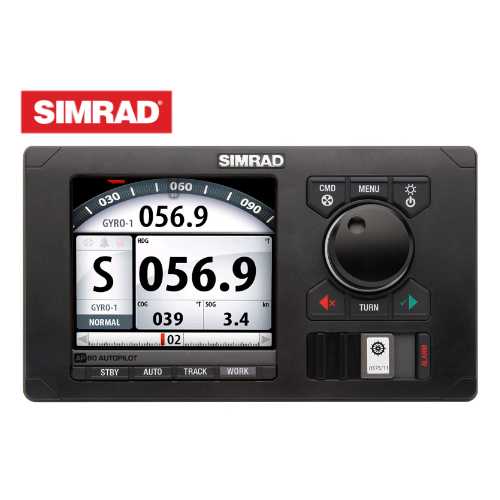 Our engineers are experienced and certified on SIMRAD equipment. Total of 6 user modes available. Unique WORK mode: customize the parameters to suit individual vessel needs. Triple support of independent rudders and multiple thrusters. 2 basic systems using the same modules.